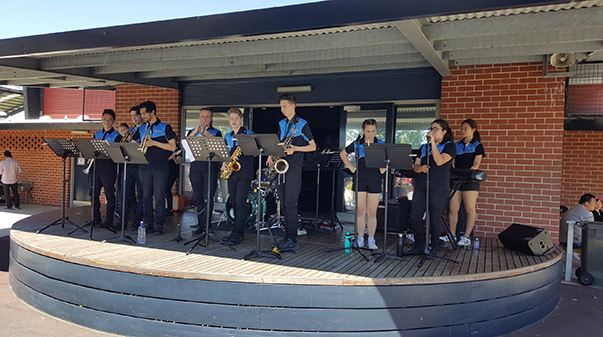 The college Stage Band were recently invited to perform a set of music for the Strathaird Primary School Carnival in Narre Warren last Sunday. The band was very well received and the weather turned it on for the crowd too. 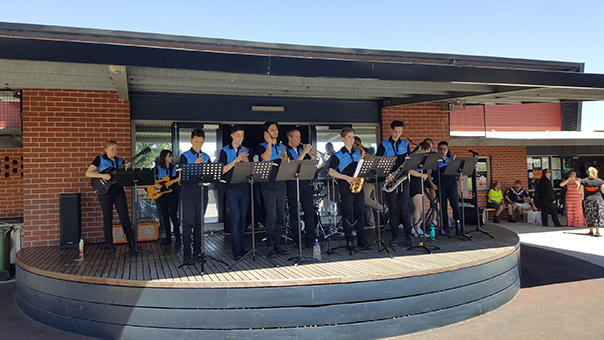 Students were able to showcase their talents to a new audience as well as demonstrate their professionalism working around a host of other entertainment on the day. A great day had by all and the band was cooking! Don’t forget, you can see the stage band on Thursday 29th November at the Semester 2 Ensemble Concert in the Theatre. Starting at 6:30pm, all are more than welcome to attend! You’ll also get to see the other amazing ensembles we have here on offer at Kambrya! Come on down!